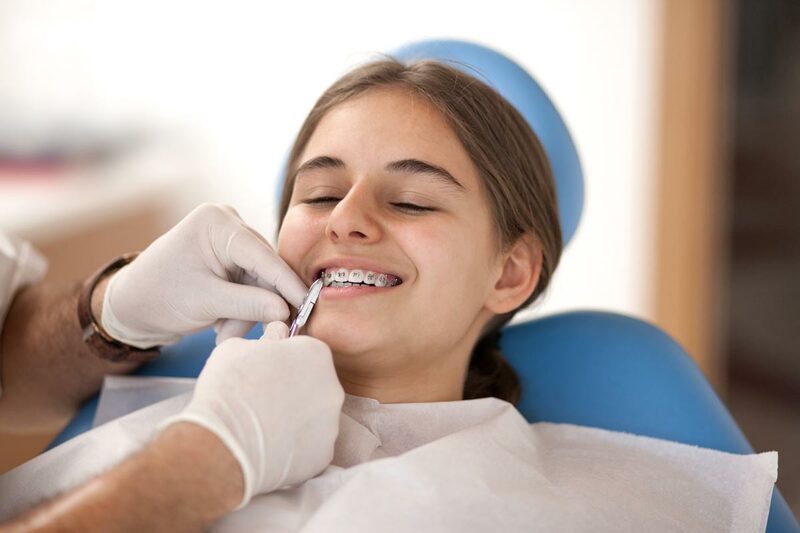 It can occur after installing an appliance, braces or a follow-up appointment. Teeth can be sensitive for a few days. The first few days after starting treatment, it is suggested to eat softer foods. If necessary, take painkillers (Tylenol or Advil). In the majority of cases, the pain disappears after 3 to 4 days. If the wire is poking or a bracket injures the cheek, cover the end with the orthodontic wax that was delivered to you in your starter kit. Contact the secretary to schedule an appointment. Occasionally this may occur during treatment. The first thing to do is to identify the location of the bracket that fell off and to contact the secretary. When the lingual wire is loose, contact the secretary as you must be seen quickly. Bring the wire to your appointment if it has completely fallen. Be advised that extra fees might be charged if the wire is lost or broken and must be remade by Dr. Rizkallah. If the appliance is broken, twisted or injures the mouth, stop wearing the appliance. If it is a palatal expander device, the key turns should be interrupted. And do not hesitate to contact the secretary. Use brush or floss to dislodge food debris. Before calling for an appointment, verify that the last turn has been completed and that the next hole is entirely visible. Make sure the key has entered the hole and activate it from front to back. To make it easier, lie down, chin well up to the back in a well-lit area. It is quite normal to feel a slight pressure during the activations. In this case, we suggest to take Tylenol or Advil according to the dosage. Thread the 2 dental flosses to the center of the separator. Fold the bristles on each side so as to stretch the separator. Slide the separator between the teeth. Make sure that the top of the separator remains visible above the tooth.